SET 11 January 11, 2014 SPRING HOUSE INSTITUTE gave our 1st FOSH Party for everyone who helped us in 2013 by becoming Friends Of Spring House! It stopped raining by 4, and by 5 had begun to clear and cool off! The music By Smooth Sailing was perfect, the food was delicious, and many FOSH graced us with their presence! Photos courtesy of Mary Byrd Lewis Sims. SET 13 February 7, 2014 OLLI, OSHER LIFELONG LEARNING INSTITUTE had their first tour of three scheduled this year. It was one of those beautiful winter days in Tallahassee, clear blue skies and not too cold. The group asked questions and SHI Board members enjoyed sharing Spring House history and Lewis family stories. Thank you all for coming! PERFECT DAY! Photos courtesy of Candace Hundley. SET 14 February﻿ 8, 2014 SPRING HOUSE INSTITUTE hosted the 3rd Invasive Plant Removal workday. The early morning rain stopped an hour before start time and made perfect conditions for removing many more coral ardisia plants from the land between Spring House and Okeeheepkee. Thank you all who brought your homemade pumpkin bread, dry oak firewood, tools, and worked hard all day long!!! GREAT FUN DAY! Photos courtesy of Byrd Lewis Mashburn. SET 16 APRIL 9, 2014, The FSU LIBRARY GROUP held their spring fundraiser at Spring House! The weather was beautiful, the group had a selection of the Stanley E. Gontarski Grove Press Collection of 20th century avant-garde literature on display. Great music by the Leon Anderson Group and fine food by Catering Capers. Dr. Gontarski spoke of Grove Press's contribution to fighting censorship in our country and many important books published through its work and courageous, progressive stand. It was a fascinating and inspiring evening with readings from the collection by guest readers. Photos courtesy of Stuart Rochford. ​SET 17 April 19 & 20, 2014 LeMoyne's Chain Of Parks Art Festival, Children's Festival! Spring House floor plan fans and foldable houses to color and cut! A great day for art and the soul! Photos courtesy of Byrd Lewis Mashburn. SET 18 THE New 76ers filled Spring House with their heartfelt music! A family trio with Danny and Kelly Goddard and Kelly's brother Brian Durham, made a great party for everyone who attended! Thank you to all who supported us at this event! Geoffrey Lardiere (Lardiere.com) paintings displayed at Spring House. Photos courtesy of Mary Byrd Lewis Sims. 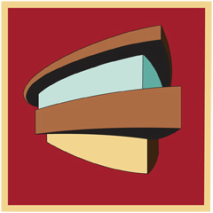 SET 19 JUNE 8,2014 Frank Lloyd Wright's 147th Birthday Party! What a truly great day at Spring House! The community really made a showing of interest and support, more than we could have hoped for! The Tallahassee Democrat gave us a Best Bets placement in the Limelight, and another mention in the main part of the paper, and WFSU Public Radio interviewed SHI board member Mary Jo Spector and ran a short story several times on Friday. THANK YOU for the incredible support Tallahassee Democrat, WFSU Public Radio 88.9, friends and neighbors!!!! Photo courtesy of Will Adkins. SET 20 June 20, 2014 Camp Spark! visits Spring House! What a FUN day! The house hasn't been filled with so much laughter in many a moon! Thank you Camp Spark! for your vibrant light! There were three architectural students from Auburn with the group, eight lively campers, five counselors-in-training, and four enthusiastic adults and their wonderful bus driver! Photos courtesy of Amiee Hill, director of Camp Spark. SET 21 Workdays – getting ready for the Spring House Institute's Press Conference Jun 24, 2104 to announce the National Trust for Historic Preservation's designation of Spring House as one of America's 11 Most Endangered Historic Places ® list for 2014, and then our first official 2nd Sunday Tour and other work days since! Photos courtesy of Byrd Lewis Mashburn. SET 22 - Evenings at Railroad Square - It's always fun to go down to the Square on 1st Fridays! People come in on bikes, skateboards, walking their dogs, dressed up in costumes, dressed down for comfort; there's great art, music, food and lots of friends and new friends to meet! Come join us! ﻿SET 23 – 2nd Sundays at Spring House! These are wonderful days to meet people from all over Tallahassee, the surrounding counties, across the state, other states, and countries! Recently a young man, studying architecture in Cuba, his father and his sister, who attends FSU, visited Spring House. She found out about tours at our table 1st Friday Railroad Square!﻿ Come join the FUN! Photos courtesy of Will Adkins and Seth Coffin. SET 24 October 25, 2014 – 60th Anniversary of Building Spring House – Folks, it was a perfect fall day in Tallahassee, a big blue sky, cool breeze, and the particular smell of burning leaves. Getting ready is a relaxed and nice time to be at Spring House. Seth removed the tarps from the chimney, cleaned the facia, and washed the big windows; Patsy Murphy's Oiled the cypress upstairs and down; Byrd vacuumed the house and Frost worked the trail, covering armadillo holes and raking leaves and pine straw so you could see the trail again. Patsy gathered wildflowers from Spring House grounds and Frost brought flowers from his yard. Brad filled and put out the tikis. Byrd set the fire and after dark Patsy lit it and kept it going, all the while Sligo Line filled Spring House with their great Irish music! Olivia and Patsy set out the abundant dishes of wonderful food Mary Byrd, Mary Jo, Cam and Patsy brought. Woody and Kathy saw wood ducks on the pond! Mark helped at every turn. All the food was delicious, John Brown's kabobs hit the spot! Cameron and Collins were our photographers. Seth and Byrd took several, too. Avery, Stella, Clifton, Collins and Olivia danced! Ben told great stories and George Edward told a tale or two. Everyone enjoyed this special evening. We're grateful for all of the help we've received, all the fun we have shared and we will continue to work. Thank you.